Earl's UltraPro Series was engineered as a system to exceed the rigorous demands of even the most extreme forms of racing. PTFE inner liner is impervious to all known fuels, oils, and coolants used in automotive applications. 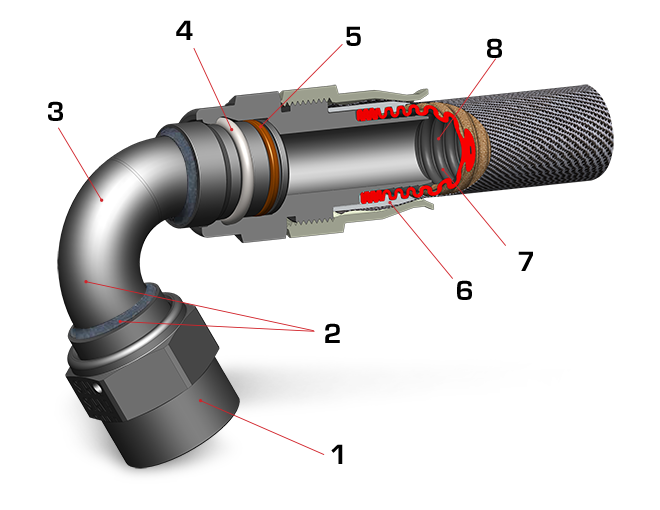 This means UltraPro hose is not degraded or permeated by today’s fuel! Don't settle for good enough, Go UltraPro! ULTRA RUGGED - PTFE inner liner is impervious to all known fuels, oils, and coolants used in automotive applications. This means UltraPro hose is not degraded or permeated by today’s fuel! ULTRA LIGHT - UltraPro Polyester Braid hose is up to 67% lighter than traditional rubber hose with stainless steel braid. UltraPro Stainless Steel Braid hose is up to 37% lighter than traditional rubber hose with stainless steel braid! 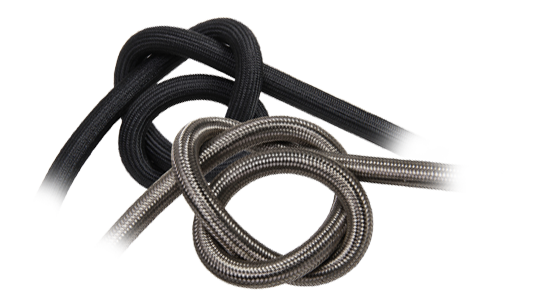 ULTRA FLEXIBLE - Double-helix ribbed inner hose liner offers extreme flexibility and left flow making tough plumbing jobs a snap with fewer hard connections! ULTRA VERSATILE - PTFE liner is carbon infused for static dissipation! ULTRA FLOW - PTFE inner liner has ultra low coefficient of friction to promote maximum flow! 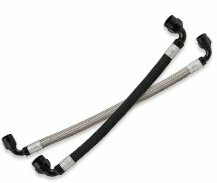 Earl’s UltraPro Series hose has an inner liner made of polytetrafluoroethylene (PTFE) which is a light weight and rugged material ideally suited for transferring fluids in high performance automotive applications including the most extreme forms of racing. The inner liner is carbon-infused and features a double-helix ribbed structure that supports robust flow even in applications requiring tight bends. The double helix ribbed structure also promotes superior sealing through positive engagement and retention of hose-ends. Structural integrity is enhanced even further by a glass-fiber wrap applied to the inner liner before the final application of either polyester or stainless steel braid. 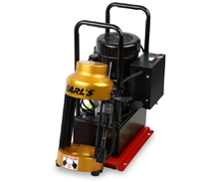 Earl’s UltraPro Series hose ends are manufactured from premium materials to be light weight and rugged and are perfectly matched to Earl’s UltraPro Series hose. 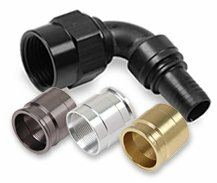 Earl’s UltraPro Series hose ends feature Earl’s popular black anodizing for extreme durability, ultra high-strength 2024-T8 aluminum in high-stress components, and fluoroelastomer internal seals which are chemically resistant to all known fuels, oils, and coolants. They feature brazed bent tubes for unmatched strength and all unnecessary weight has been eliminated from UltraPro components. Designed to withstand harsh environments, brutal vibration, highflow requirements and extreme pressures! PTFE inner liner impervious to all known fuels, oils and coolants used in automotive applications! 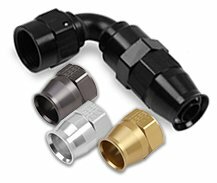 Double-helix ribbed inner hose liner offers extreme flexibility and full flow making tough plumbing jobs a snap with less hard connections! Liner is reinforced with an outside glass-fiber wrap for additional strength and integrity! PTFE inner liner is carbon infused for static dissipation! PTFE inner liner has ultra low coefficient of friction to promote maximum flow! 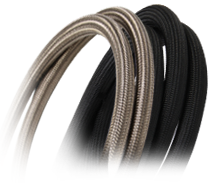 Available in popular -6, -8, -10, -12, -16, and -20 sizes in both woven polyester braid and stainless steel braid! UltraPro Polyester Braid hose is up to 67% lighter than traditional rubber hose with stainless steel braid! UltraPro Stainless Steel Braid is up to 37% lighter than traditional rubber hose with stainless steel braid! Modern fuels are the enemy of traditional rubber hose (including steel-braided hose) causing deterioration. Rubber hose must be inspected and replaced frequently to eliminate the safety hazards associated with fuel vapors and leakage that occurs as the traditional rubber liner deteriorates. Earl’s UltraPro hose puts an end to these worries! 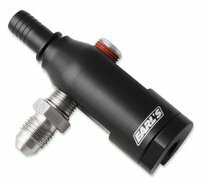 Earl’s UltraPro Series hose-ends are manufactured from premium materials to be light weight and rugged and are perfectly matched to Earl’s UltraPro Series hose.